FlyHealth dental clinics would like to announce the use of a new dental cosmetic technology known as Emax Dental Veneers. E-max veneers are wafer-thin porcelain and ceramic covers which are perfectly placed over natural teeth— perfect for covering disfigured and stained teeth. They are stain and bacteria-resistant, strong and can be especially designed to match the natural tooth shade. Emax veneers are crafted from strong porcelain and custom designed for each individual unique needs; they are thin layered and fitted to the front surface of the teeth. This enhances both the function and aesthetics of teeth. They are popular for their durability and stabilizing impact on a patient’s oral health, due to the technique in which they are fitted without the need for tooth etching; unlike how the traditional dental veneers are fitted. Emax dental veneers can be applied with little to no tooth preparation and can be placed in 2 or 3 visits to one of our dental clinics in Turkey. Like conventional dental veneers, dentists Turkey will have to take wax molds of the teeth and send them to a lab so the veneers can be crafted. They are specifically designed to resist chips and can last 15 to 20 years if proper care is practiced. 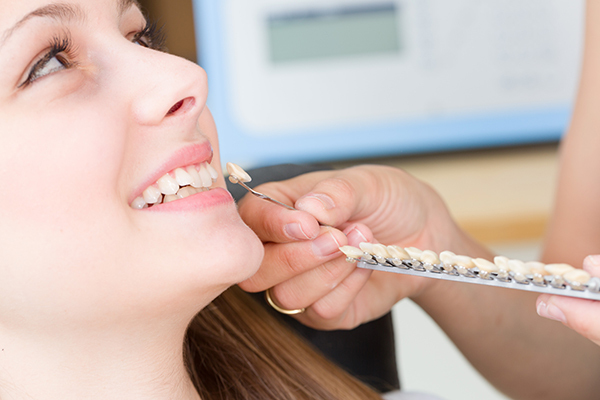 Our overseas patients can benefit from Turkish dentists’ high level of expertise, experience and craftsmanship. “Dental tourism is a good opportunity for many overseas medical tourists, especially patients from the UK; thanks to our affordable cost of cosmetic dental care,” says Dr. Tijan Durer, one of Turkey’s accomplished dentists. FlyHealth is one of the leading medical tourist agencies in Turkey, providing affordable medical tourism solutions to modern-day international patients. The higher cost of heath care in many western countries has become a burden for patients. Registered with the Companies House in the Netherlands (Registration No:62557750), FlyHealth is a leading medical travel company offering top quality service for international patients travelling to Turkey. Please visit http://www.flyhealth.co.uk or http://www.flyhealth.nl for more information about FlyHealth.